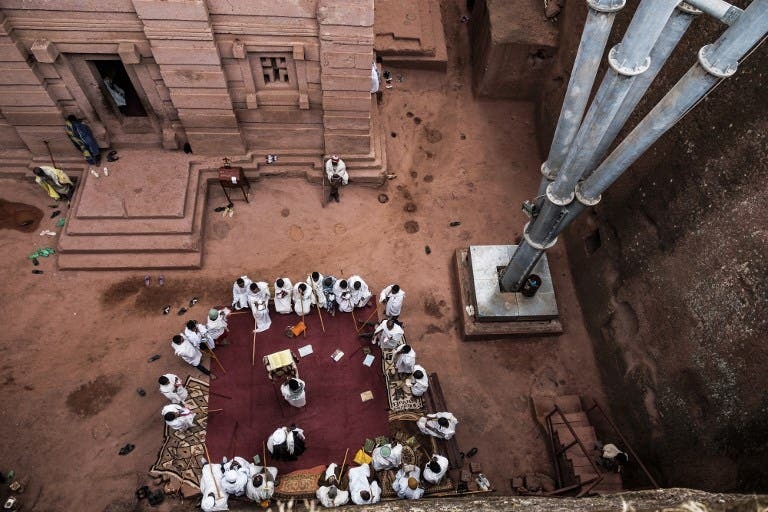 In a mountainous region in the heart of Ethiopia, eleven medieval monolithic churches were carved out of rock. 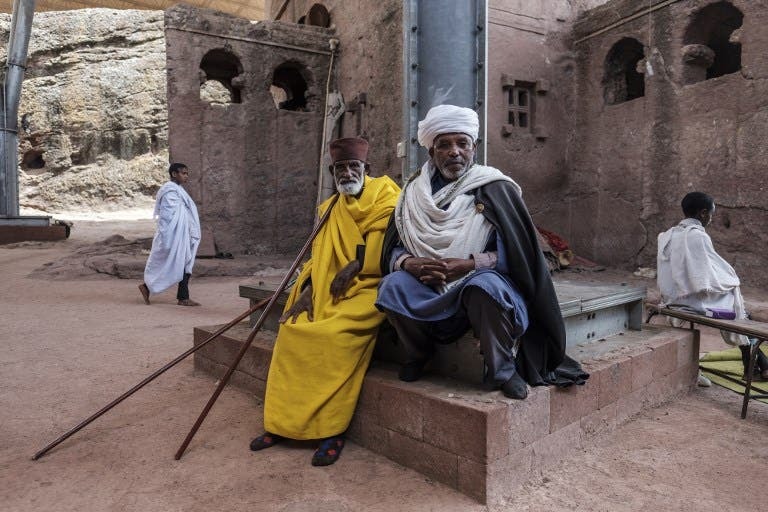 Their building is attributed to King Lalibela who set out to construct in the 12th century a ‘New Jerusalem’. 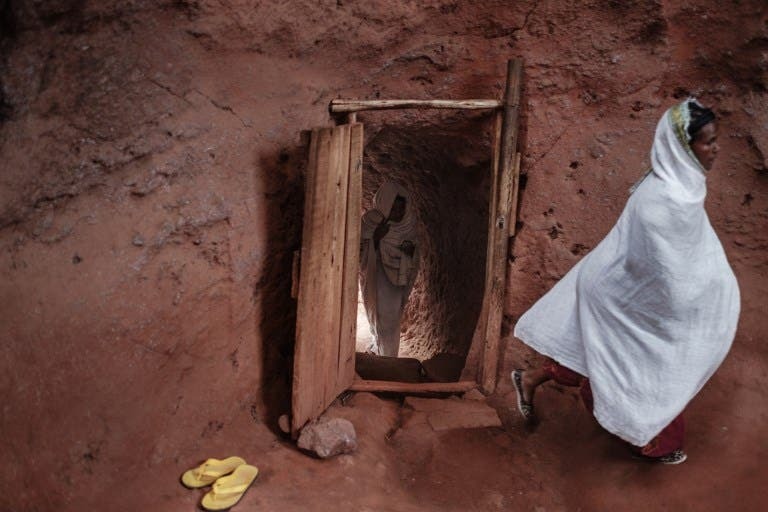 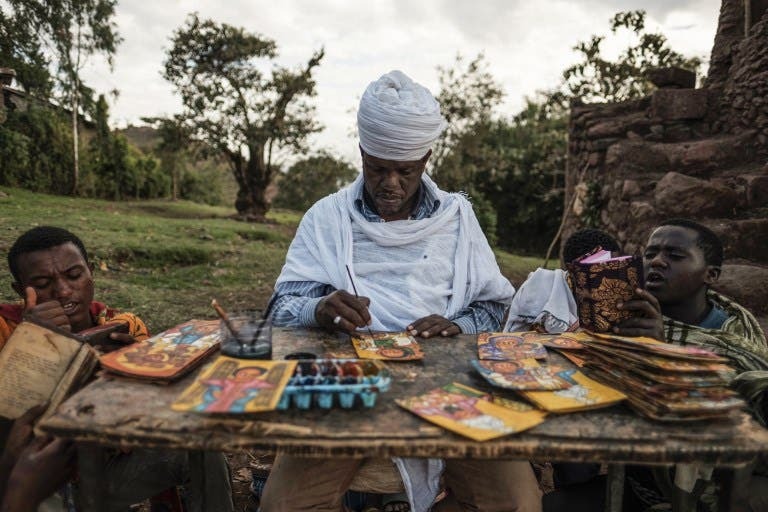 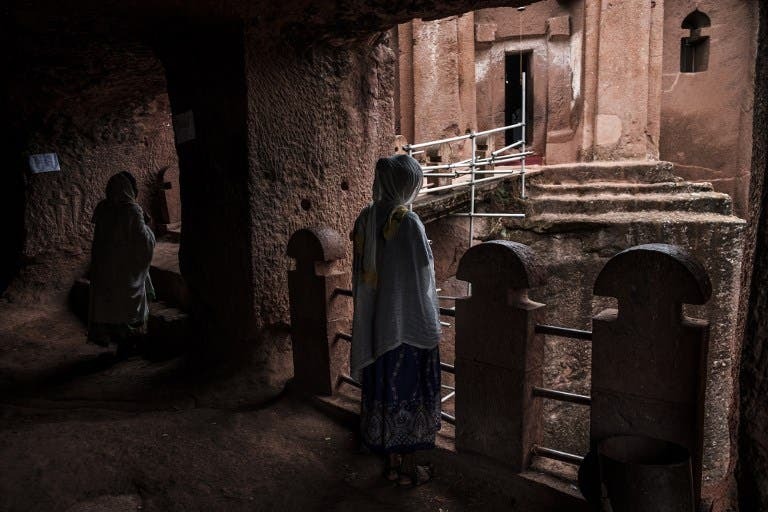 With 11 rock-hewn churches, Lalibela is understandably a place of pilgrimage for those in the Ethiopian Orthodox Church. 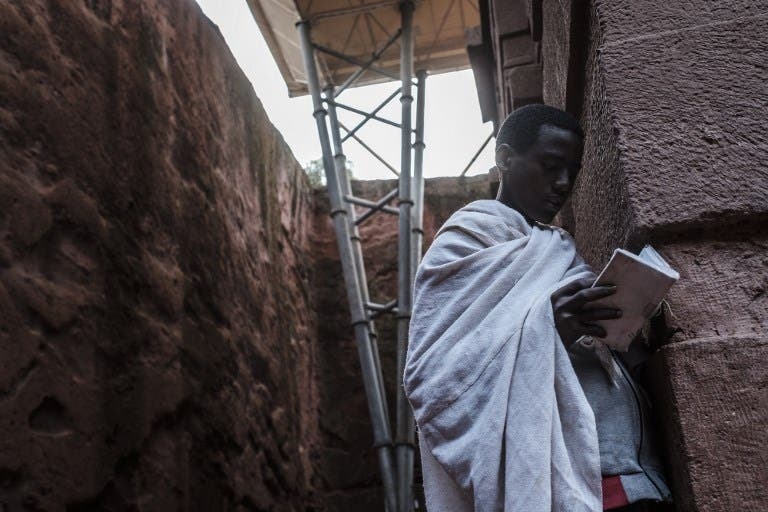 Designated a UNESCO World Heritage site in 1978, the Lalibela churches are unique. 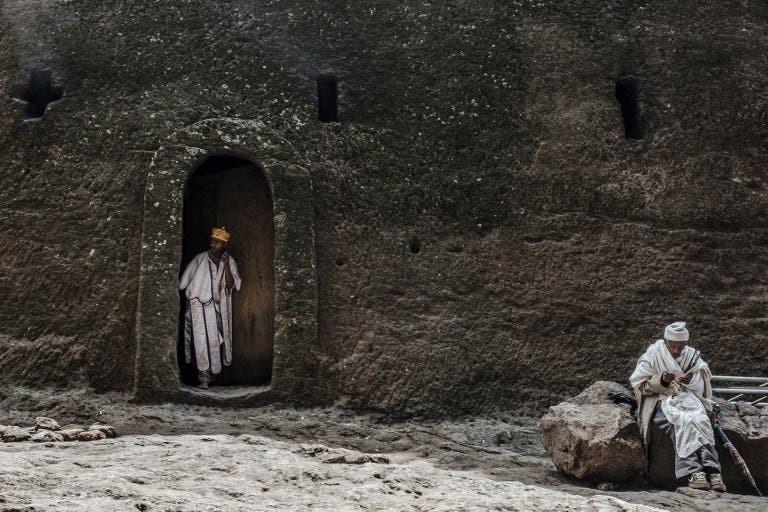 They are carved from rock and sit below ground level, surrounded by deep, dry moats, with only their roofs visible. 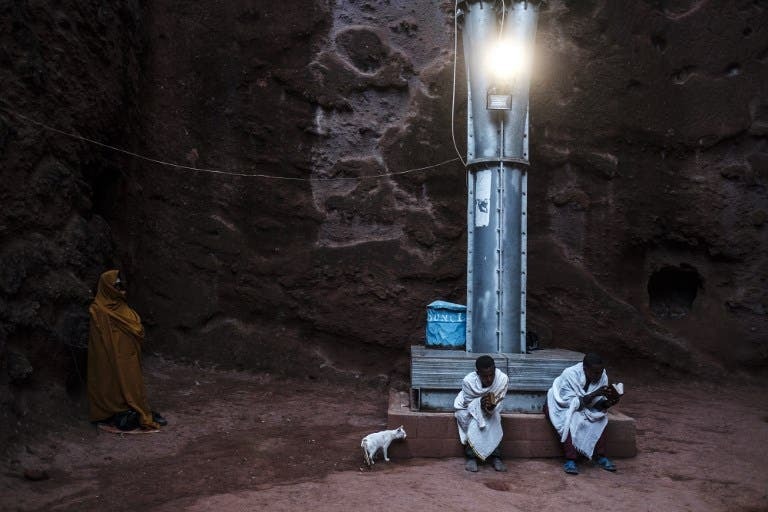 The courtyards surrounding these extraordinary places of worship are reachable only by staircases and tunnels.